Downing explained the decision to reporters when the court was in recess. 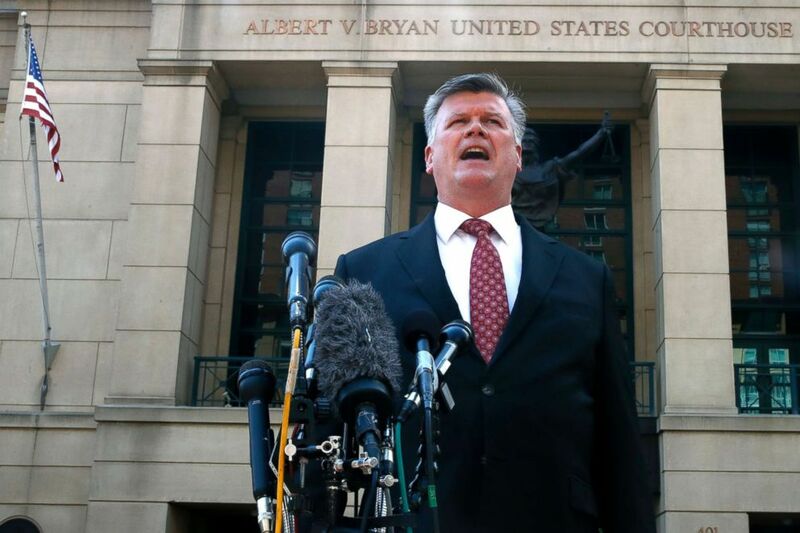 Defense attorney Kevin Downing makes a statement to the media after leaving federal court in the trial of former Donald Trump campaign chairman Paul Manafort in Alexandria, Va., Aug. 14, 2018. Manafort, who has pleaded not guilty to all charges, is facing a potential life sentence if he is convicted on 18 counts of financial charges, including money laundering and tax fraud. Government prosecutors from Special Counsel Robert Mueller’s office rested their case on Monday after more than two weeks of testimony alleging he hid millions of dollars in offshore accounts and failed to pay taxes on that money. The case against Manafort has barely referenced his work as President Trump’s campaign chairman and has not indicated if he may fit into the larger picture of Russian meddling in the 2016 campaign that Mueller's team is investigating. Instead, Mueller’s prosecutors have called accountants, bookkeepers, luxury vendors and Rick Gates, Manafort’s longtime business associate, to lay out his alleged financial transgressions. 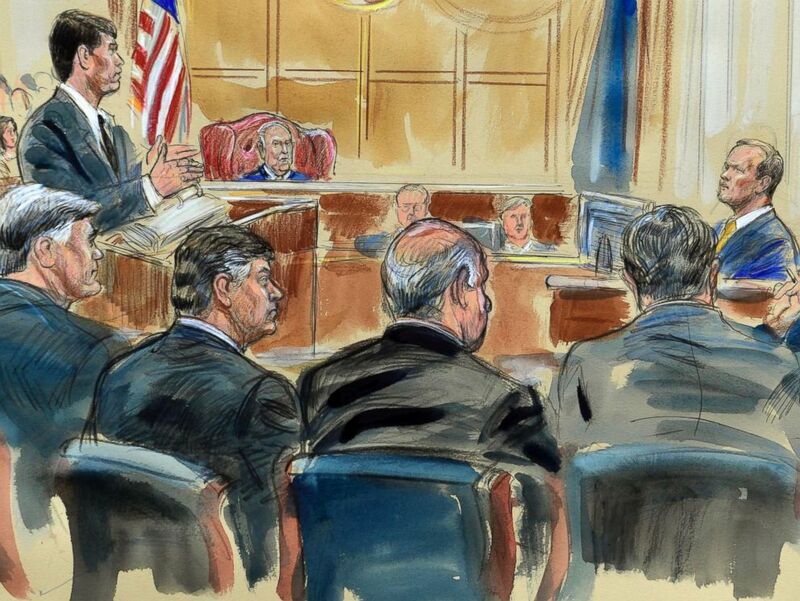 This courtroom sketch depicts Rick Gates, right, answering questions by prosecutor Greg Andres as he testifies in the trial of Paul Manafort, seated second from left, at the Alexandria Federal Courthouse in Alexandria, Va., Aug. 6, 2018. With no more witnesses left to be heard, the jury is expected to begin deliberations following closing arguments on Wednesday. Legal experts told ABC News this strategy is common but appeared divided on its chances for success. Robert Mintz, a former federal prosecutor now in private practice, said Manafort had "little to gain and a lot to lose" by taking the stand.